According to Mr Don Erskine, Managing Director of Industrial Conveying (Aust) , businesses investing in modern top-end materials handling equipment must set up a capital equipment platform for potential additions and ongoing integration. 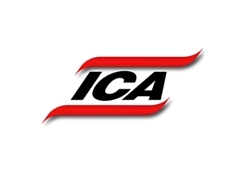 Australian materials handling specialist, Industrial Conveying (Aust) also supplies capital equipment for materials handling to a significant export market. Industrial businesses taking a piecemeal approach to materials handling solutions may not always meet with success. For instance, those specialising in sorting often take the piecemeal approach as needs arise, but larger businesses in the sector may not find the approach sufficient as they are more likely than smaller companies to engage in international trade or 24/7 operation. The international marketplace is a very demanding environment and requires companies to be equipped with a high level of sorting and materials handling efficiency. Additionally, many businesses are handling materials that are not of uniform size. In fact, many businesses handle dozens, if not hundreds of stockkeeping units (SKUs), which intensifies the challenge. While modern controls and software that manage materials handling systems are very powerful, Mr Erskine believes that planning the mechanical aspects of materials handling is also a huge challenge. 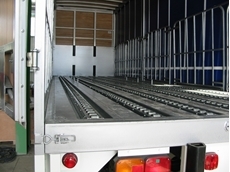 For businesses handling stock in various sizes and quantities, he recommends a system that handles everything from the very smallest SKU (such as a letter or a parcel) to the very largest item such as a two-tonne pallet, allowing the operator to accommodate varying sizes and quantities. This challenge is particularly seen in areas such as third party logistics, which involves multi sorting, varying quantities and diverse markets with everything requiring urgency. Piecemeal additions to this type of capital equipment are not viable in many circumstances and only a turnkey design and setup better allows the business to capably handle its demands. Accessing the right technology is only one part of the solution; it is important for the technology provider and the eventual user to take a partnership approach to ensure that the planning and implementation cover all the bases. Mr Erskine describes materials handling solutions as an industrial science that combines several unit disciplines to provide the turnkey scenario essential for companies undergoing growth and those heading into export markets. 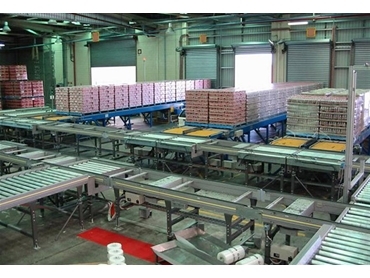 One of their recent challenges where they drew on FKI technologies involved a turnkey project that included a specific area for sorting all types and sizes of SKUs. The next challenge was to minimise the length of time it took to store each and every item in the appropriate rack space. 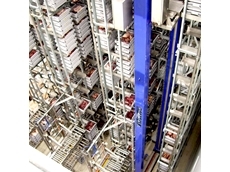 The sorting section fed into an internal logistics area where high-rise stacker cranes would allocate each item to a specific position in the racking. The high-rise stacker technology played a dual role, operating at the midpoint of the business so that it also provided the retrieval service when items were due for dispatch. 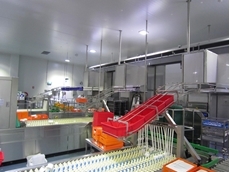 Software and control systems ensured plant managers knew where each and every item was positioned during the process. He adds that even a truck fleet can be used as part of the logistics process for mobile storage by setting it up for optimised material flow patterns.